Add The Design Elements Pak! Sell the covers you create! 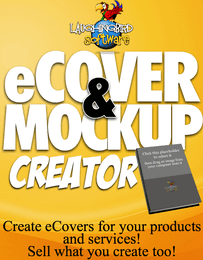 "I was so hoping you would do an ebook cover creator. I would do my graphics in the creator then have to take them to a cover creator software! To do it all in the Creator will not only be easier but will look the best! The drag and drop pics and adding to scenes, will have me playing all weekend! Thanks, Marc!"